Monoprice via Amazon offers its Monoprice Wireless Smart Water Leak/Flood Sensor for $26.49 with free shipping. (Monoprice charge pennies less direct.) That's $3 off list and the lowest price we could find. It features mobile monitoring and notifications, and a probe with a 3.8-foot reach. Columbia offers the Columbia Men's Titan Pass 1.0 Half-Zip Fleece in Black or Azul for $29.99. Coupon code "COLAPRMAY19" cuts the price to $23.99. Plus, Greater Rewards members receive free shipping. (Not a member? It's free to sign up.) That's tied with our expired mention from four days ago, $36 off list, and the lowest price we could find. It's available in select sizes from S to XL. Americans love celebrating New Year's Eve, with some 190 million people tuning in to watch the ball drop in Times Square. But with hotels hiking their rates 300% to 500% higher than their usual rate, it can be a tough time of year to stay within your budget. WalletHub recently published a report on the best cities to celebrate NYE 2016, taking into consideration factors like cost, safety and accessibility, and entertainment and food. We analysed the report and went in search of travel deals to make sure you're getting the biggest bang for your buck. Although Phoenix took the top spot for most cost-effective city to spend NYE, Orlando made it to the top spot on the WalletHub list, ranking highly in the "Entertainment and Food" category, but falling down on the "Safety and Accessibility" category. 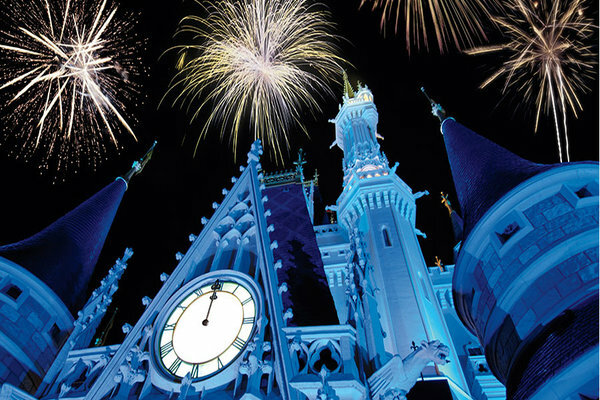 Book a 3-night stay at the Hyatt Regency Orlando with prices starting from $537.30 ($179 a night; low by $60; expires December 31) and head down to watch the fireworks over Disney World's Epcot Center. Or, if you just want a single-night stay, check in to the 4-star Rosen Shingle Creek from $215.20 per night (low by $27; expires December 20). This hotel is hosting its own New Year's Eve party with a DJ, dance floor, and champagne toast. If you need a flight to the Theme Park Capital of the World, check out Frontier's latest sale. We found 1-way flights on December 31 starting from $29 (low by $19; expires today). 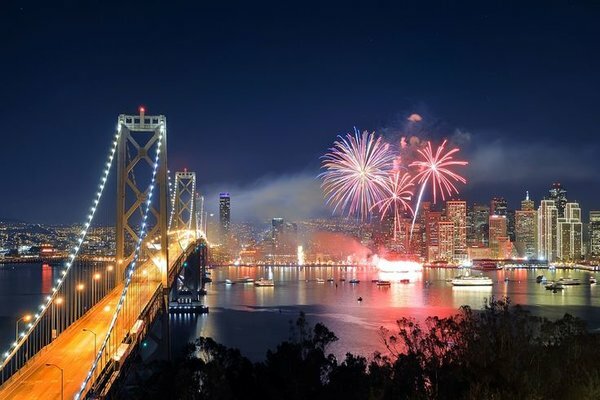 The City by the Bay ranked as one of the best places to spend NYE 2016 with regards to "Entertainment and Food" on WalletHub's list. If you want to go all out, spend the night at the Hyatt Regency San Francisco (from $359.10 per night; a low by $40; expires December 20). The hotel is hosting SF Nightlife's Champagne Resolutions party (from $119). If you'd rather take advantage of the bay, book a 3-night stay at the Larkspur Landing South San Francisco from $301.18 ($100 a night; low by $42) and ring in the New Year on one of the many cruises available (from $175). For the best discount on flights, check out Virgin America's current sale, with flights to San Francisco (SFO) starting from $88.10 (low by $27, expires December 31). Sports fans should head to Atlanta for the traditional Chick-fil-A Peach Bowl and watch the Houston Cougars play the Florida State Seminoles. Book a stay at the 4-star Twelve Atlantic Station Hotel from $247 per night (low by $62, expires December 20). When it comes to finding a flight, Atlanta is one of the cheapest cities to fly to. We found the best prices in Frontier Airline's sale, with 1-way fares to Atlanta starting from $49 (low by $32; expires today). We hope this list has given your budget a little bit of a breather over the hectic festive season. If you're already planning your vacation for 2016, check out our current travel deals for more savings. And remember: "A New Year's resolution is something that goes in one year and out the other."